The Western liberal order finds itself in deep crisis. Global power shifts are accelerating. What does this mean for the future of global cooperation? How can the wish for more national autonomy be reconciled with the need to cooperate in a globalised world? Can new forms of governance contribute to sustaining global cooperation? 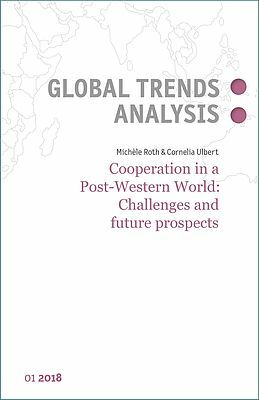 Michèle Roth and Cornelia Ulbert discuss these questions in the new issue GLOBAL TRENDS. ANALYSIS 01|2018.